A Christ Apostolic Church pastor, Oluwarotimi Akinroyeje, has been shot dead at the church’s mission house in the Ago Gbooro area of Ore, in the Odigbo Local Government Area of Ondo State. According to a source, a masked gunman entered the mission house at about 1am on Monday and went straight to where the pastor was, and shot him at close range with a locally-made gun. The source said the motive behind the killing was unknown, adding that the assailant did not take anything from the cleric after shooting him dead. “The man, who wore a mask, entered into the mission house in the middle of the night and brought out a locally-made gun. 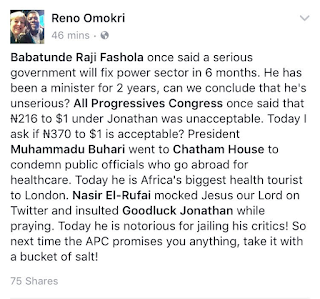 He shot the pastor dead and did not take anything when he was going; he just killed him and left,” the source said. The Public Relations Officer of the Ondo State Police Command, Mr. Femi Joseph, confirmed the incident, adding that the command had commenced investigation into the case. Fuse ODG had asked that the billboard be taken down all over Africa, else people would do it for the brand. “We respect every consumer’s right to choose products according to their personal preferences,” the brand said, possibly highlighting the fact that some people in this part of the world actually do seek a fairer skin. 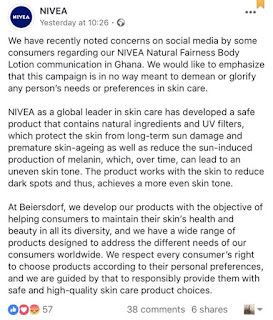 Fuse ODG however responded to Nivea’s statement saying that the company missed the point of the backlash. Kevin Hart Twists Scandal Into A Joke To Promote His "Irresponsible Tour"
Just as we all predicted it, so it is. Comedian Kevin Hart is making his cheating scandal into a joke to promote his tour – the Irresponsible Tour. The comedian posted a video on Instagram, of different versions of himself – the actor, mogul, author, pops, and so on – telling Kevin the comedian just what he’s doing wrong.